Hanoi (VNA) – Vietnam’s motorcycle market has seen an increase in its sales for the first time since 2012, reaching 1.4 million vehicles in the first six months of 2016, according to the Vietnam Association of Motorcycle Manufacturers (VAMM). The figure represented an 8 percent increase from the same period last year. In 2015, the market stabilised after declines in the two previous years, with 2.8 million vehicles sold by the VAMM’s five members including Honda, Piago, Suzuki, SYM and Yamaha. 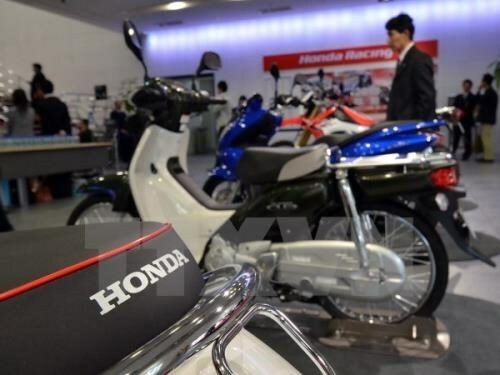 Honda Vietnam (HVN) made up 70 percent of the market with the sale of 1.9 million units. According to Minoru Kato, HVN General Director, Vietnamese customers now prefer automatic bikes to geared ones thanks to their fashionable designs and conveniences. However, geared bikes remain a choice of people living in rural areas. Therefore, the company will continue manufacturing both types of motorbike to meet the demand of all customers, he said. As the local bike market has nearly reached saturation point, it will also boost exports with an aim for a 41 percent increase in export value to 345 million USD in 2016, he added.